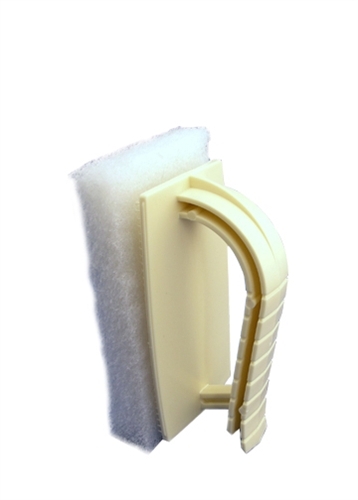 This pad with the backer handle is used with Restoration Powder (and a LIGHT TOUCH) for stubborn spots, or with Glass Rescue for removing previous coatings, or on deeply ingrained dirt, discoloration, and heavily stained areas. Glass Rescue NanoPax® - 2-pack Revitalizer 4oz Consumer Maintenance Kit (CMK) Nylon "Light Scrubber"
I like the larger scrubber. It helps me get more done in less time. I wish it was more designed for the circular motion that the glass cleaning requires. Made the job a lot easier using the pads rather than a rag by itself.Have enough now to last me a lifetime.